After Atletico de Kolkata's thumping 3-0 win over Mumbai City FC in the opener, it was NorthEast United who got the better of Sachin Tendulkar's Kerala Blasters in Guwahati — edging past them 1-0 in a nervy encounter. 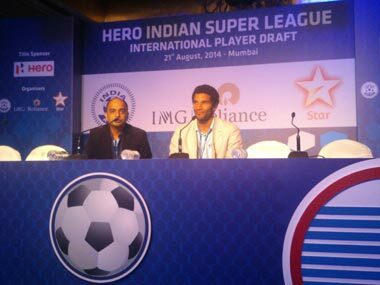 Chopra sprung into the limelight as the first footballer of Indian origin to play in the Premier League. In a country where the tough questions are often greeted with silence, David James was brutally honest, direct and to the point.